When we get some time off from developing testing and photographing our own Mediterrranean Recipes, we love to help out our friends and Marbella residents with our Personal Chefs Marbella service. 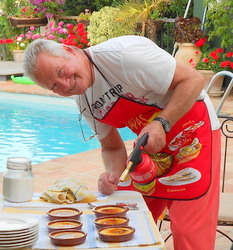 We're Pam and David Lynn and we just love to cook here in the Spanish sunshine. We are both experienced chefs and have owned and run restaurants and other catering businesses in Spain, Ireland and Yorkshire in the north of England. We can provide you with a wide range of catering options, whether you are in Spain on holiday, have a second home here or live here full time. 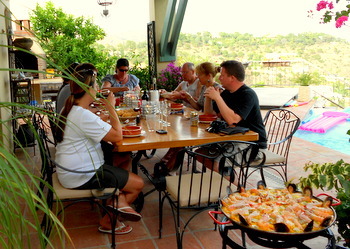 Paellas - Lunches, Dinners, Breakfasts and even Picnics. If you want gourmet dining - we can do that. If you want a Lasagne at home with friends we can do that too. Dinner delivered to your home. Freezer meals for you to re-heat later. We mean business and we keep it real. Just contact us through the form below and we'll get back to you post haste. French, Indian, Thai, Italian or Chinese - you name it we can cook it. Our pricing is flexible too, we can quote an hourly rate or charge per person if you prefer. 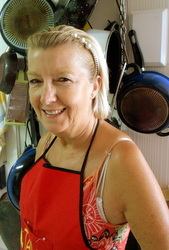 Visit our Brand New Website - Personal Chefs Marbella - for all the lastest news and gossip.